We knew that we wanted to get some more hens, but in order to do so we had to have the hen house “fox proofed”. We would like to thank Maryann and Donnie Brittingham for donating their time to help us predator proof our coop. 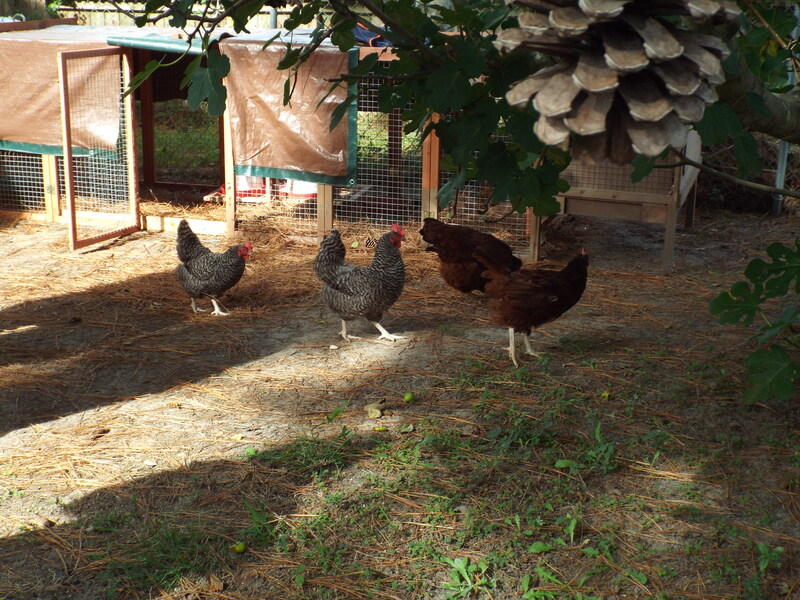 After we had battened down the hatches on our coop we were able to get 4 new hens! Let us introduce our new friends (from left to right) – Mueller, Paschall, Henny, and Penny! Don’t they look nice?! 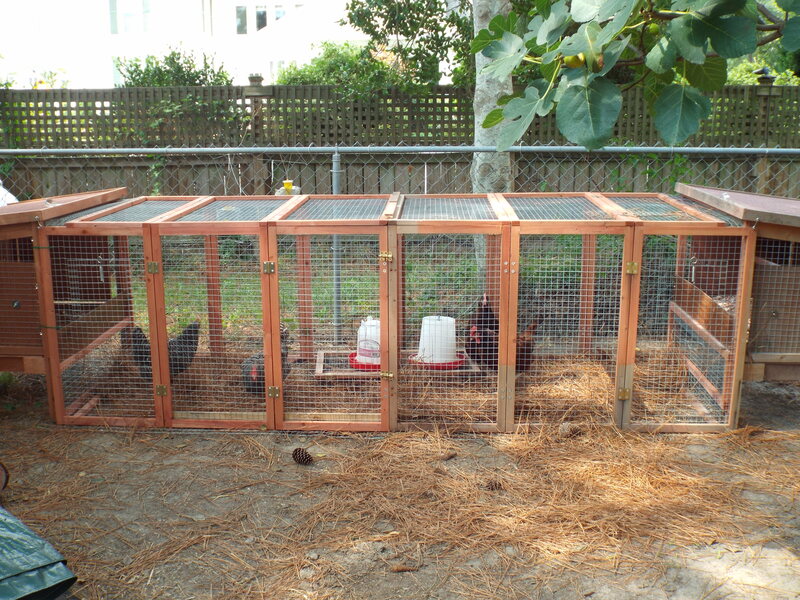 Check out the ladies livin’ large in their new, glamorous coop! Happy birthday to the man of the hour; we wish him well and lots of power! 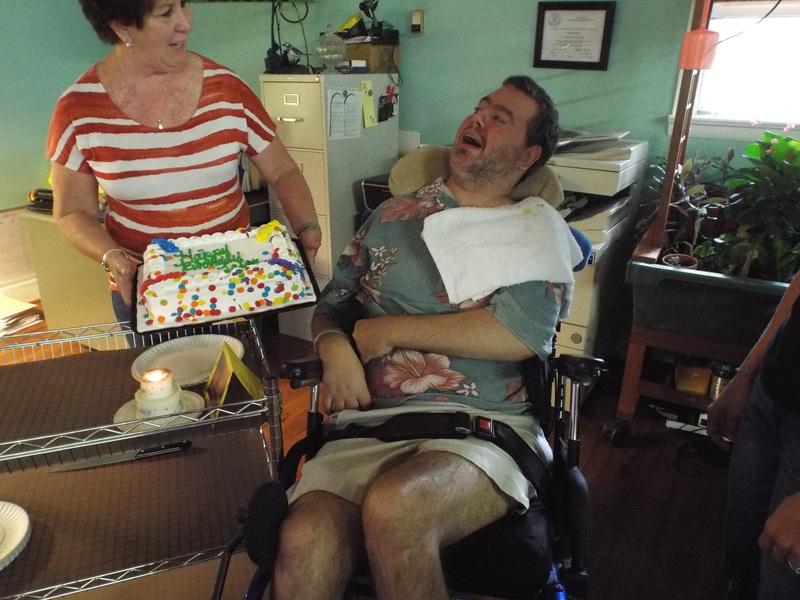 We celebrated Jason’s birthday this week by having a pizza party (hosted by Matt!) and ice cream cake (brought in by Liz Walters). The pizza was scrumptious and the ice cream cake was very FAB! Thanks again Matt and Liz for helping us to make our party out of sight! Zel getting some cucumbers from our garden ready to make pickles! We bet once they’re ready and everyone tastes them they’ll be delicious. 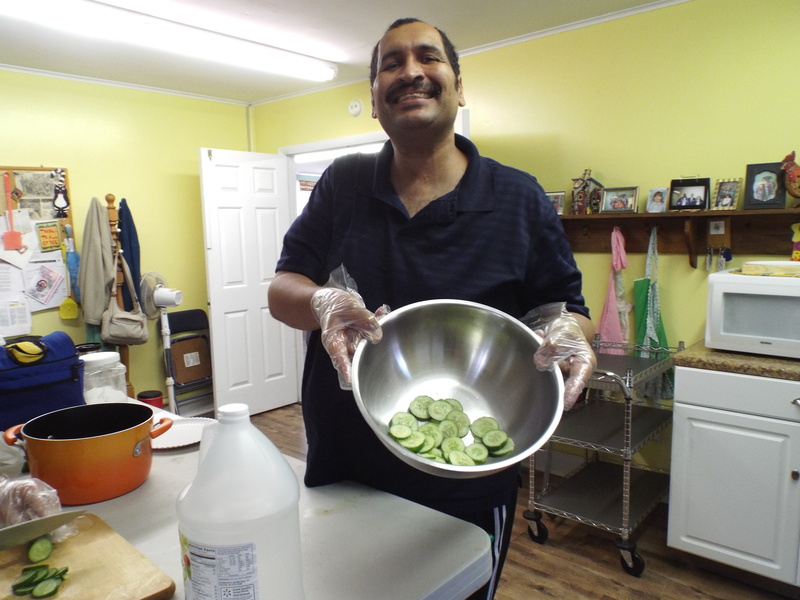 Thank you to Terrance for a wonderful idea of what to do with some of the last of our garden grown cucumbers! 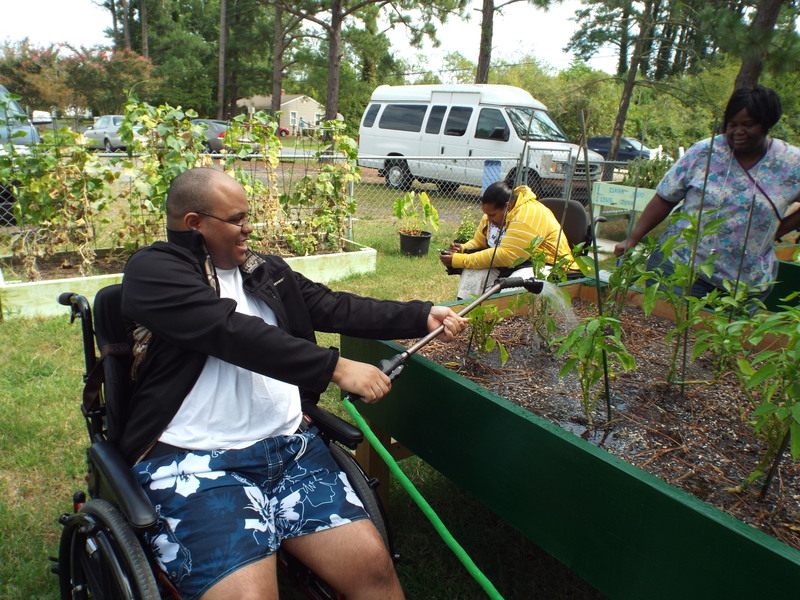 Support No Limits Eastern Shore at AmazonSmile!! Now you can support No Limits Eastern Shore just by shopping on Amazon! AmazonSmile donates 0.5% of all eligible purchases made through the site to charity, and it won’t cost you a thing! Click the link or go to AmazonSmile and select No Limits Eastern Shore (in Onancock, tax ID #27-4634576) as the charity you’d like to support. Use your Amazon account as normal, just start at the AmazonSmile link. Thank you!! Support No Limits Eastern Shore Whenever You Shop Amazon!! 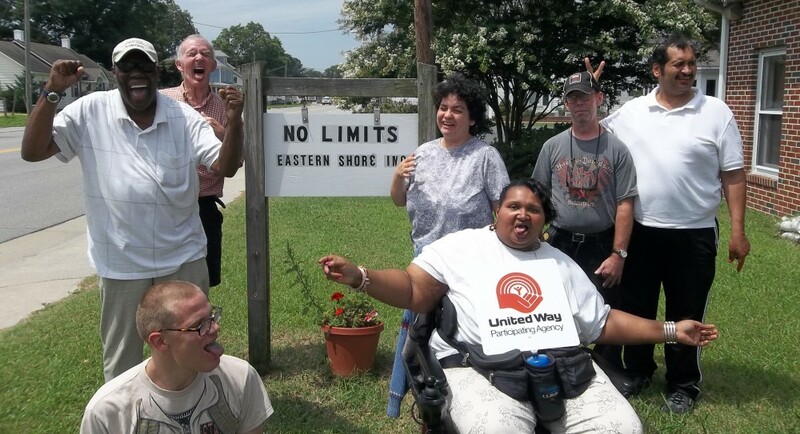 Now you can help to support No Limits Eastern Shore without spending any extra money! Whenever you do any shopping at Amazon.com, just start out at AmazonSmile (http://smile.amazon.com). Select No Limits Eastern Shore as your charity by entering our name when prompted (or our Tax ID #27-4634576 if you prefer). As long as you remember to do your shopping at AmazonSmile then Amazon will donate 0.5% of the price of your eligible purchases to us…it’s that easy!! It won’t cost you a penny to support the Eastern Shore’s only brain injury services organization. Thank you! 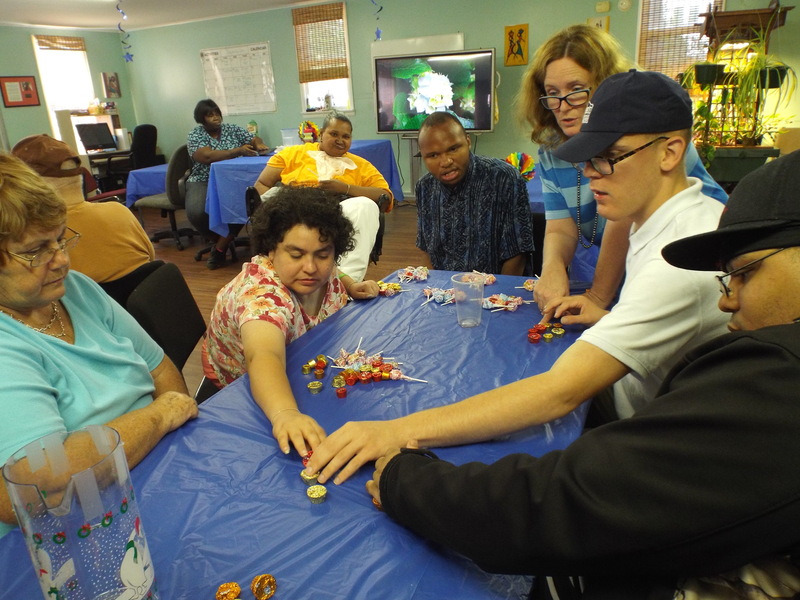 We would like to give a huge “thank you” to DARS in Belle Haven (Robin Sexauer, Idena Bailey, and Soraya Buckner) for sponsoring our 2nd anniversary party as No Limits Eastern Shore! Everybody had a wonderful time and we cannot wait to celebrate with y’all again next time! 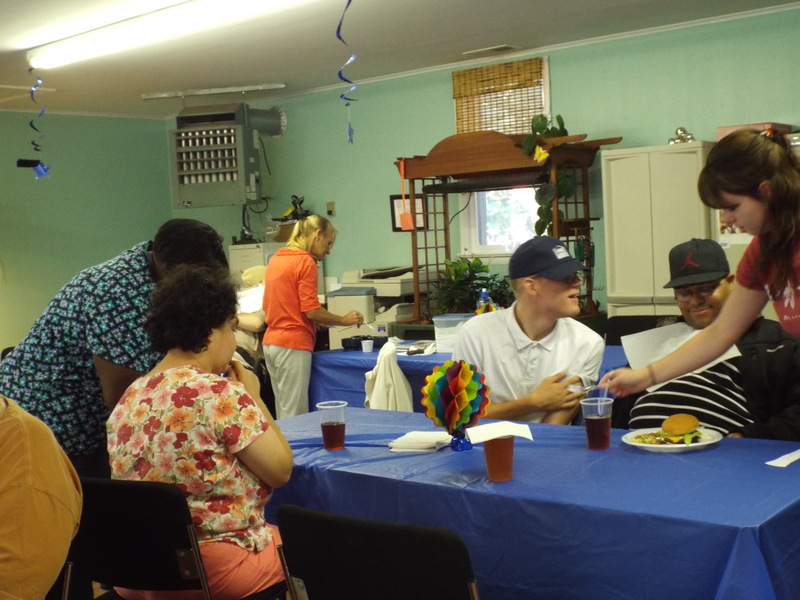 Here we have Sherry, Beth, Brandon, Terrance, and Brittney getting ready to chow down! 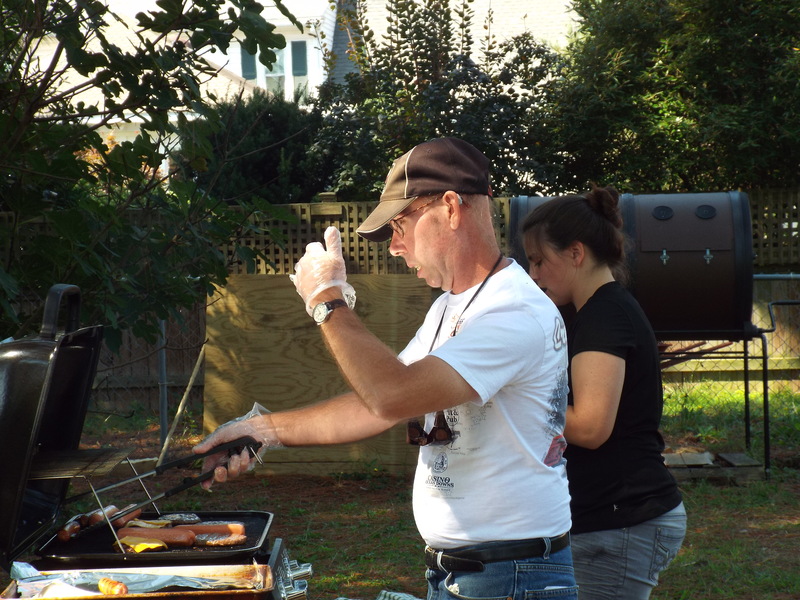 David the Grill-Master and his sous chef Emma cooking up some hot dogs and burgers for our anniversary party! Amy says the food was VERY AWESOME! During our anniversary party we had our monthly candy count – and AMY WON! Good job Amy! We can’t believe this is the second time you’ve won the candy count! Thank you for sharing your candy with everyone! 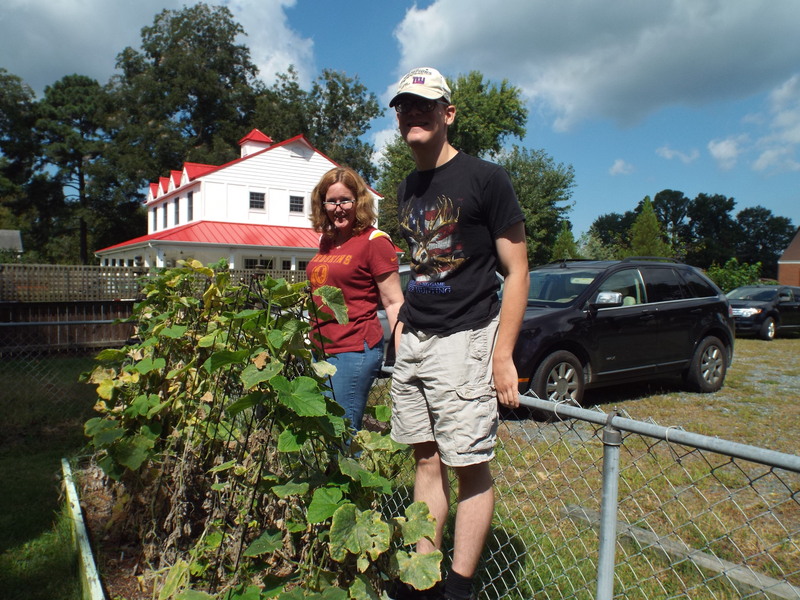 Rachel and Brandon had to climb into the cucumber bed to reach some cukes that were ready. Pick on Rachel and Brandon with your bad selves! 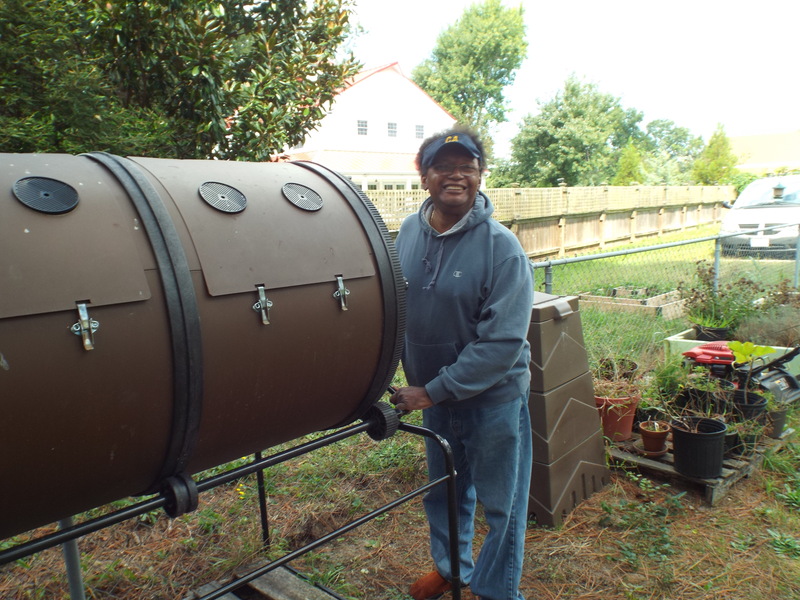 John having a good time composting some old plants from the garden. Compost on John! Keep on turnin’! 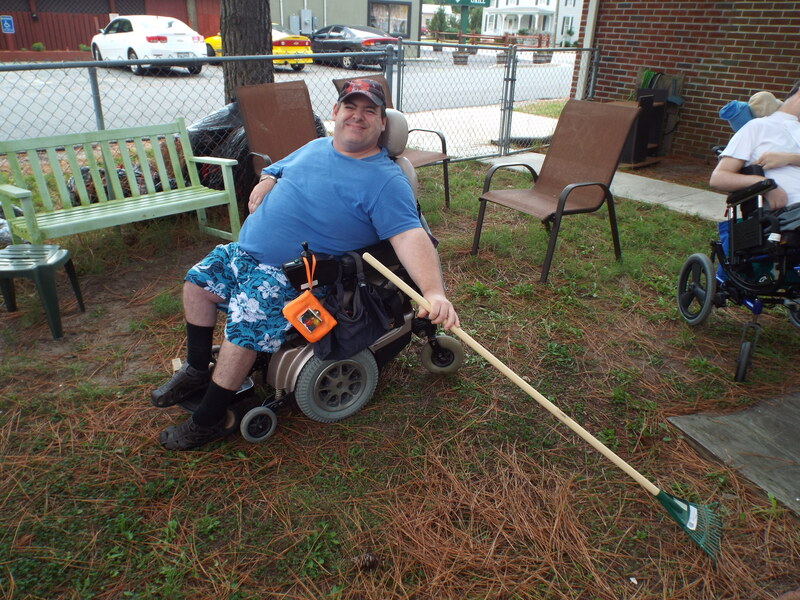 Matt raking up some pine needles to be used as bedding in our new and improved chicken coop! We think the pine needles will make for a comfortable padded floor for our new hens! For an update on our hens here at No Limits stay tuned for a special blog next Tuesday! No Limits Eastern Shore is accepting applications for our Health and Safety Coordinator position. The position is part-time, 20 hours/week (Tues – Fri, 10am – 3pm), $9/hour. 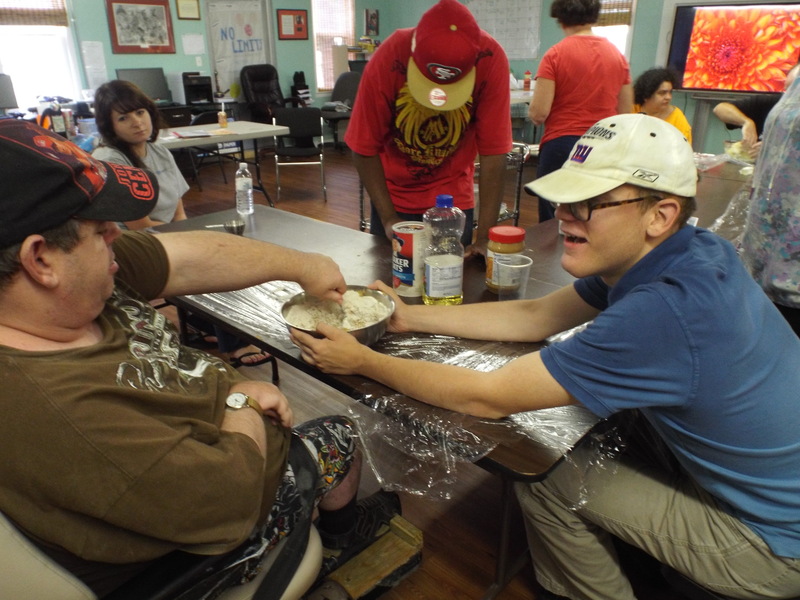 We are looking for an enthusiastic self-starter to join our team at NLES, where our mission is to improve the lives of brain injury survivors on the Eastern Shore. We require a HS diploma (or equivalency), a reasonably clean driving record, and, most importantly, the ability to interact with the people we serve with respect. Anyone interested in applying should come in person, Tues – Fri, between 10am – 2pm to pick up an application. We are located at 149 Market Street in Onancock. Please call us at (757) 789-3990 if you have any questions. 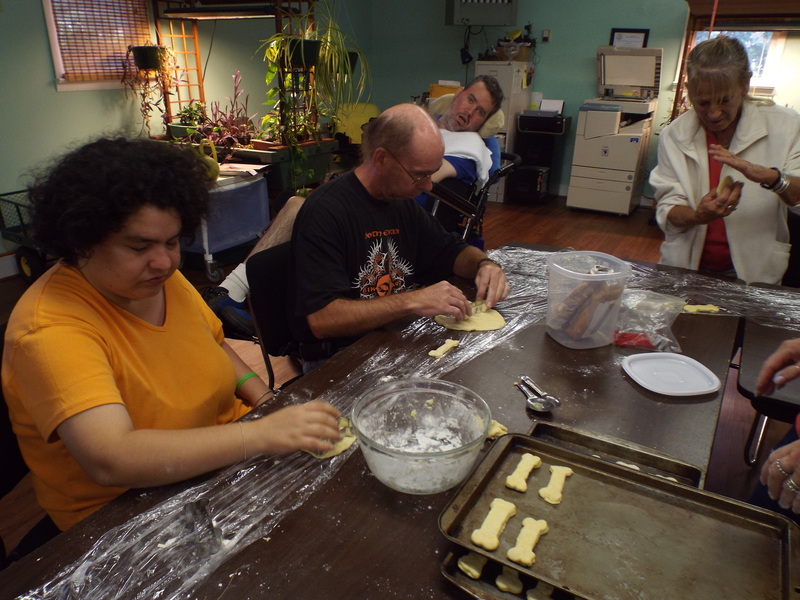 This week at No Limits we baked Barking Treats (otherwise known as dog biscuits) for the SPCA. 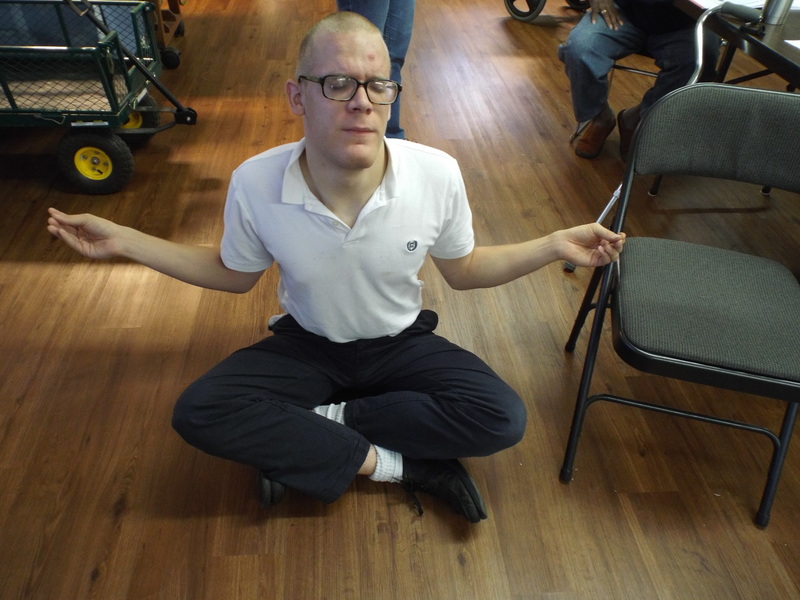 Brandon showing us the proper way to meditate! He looks so relaxed it’s as if he’s in another world! 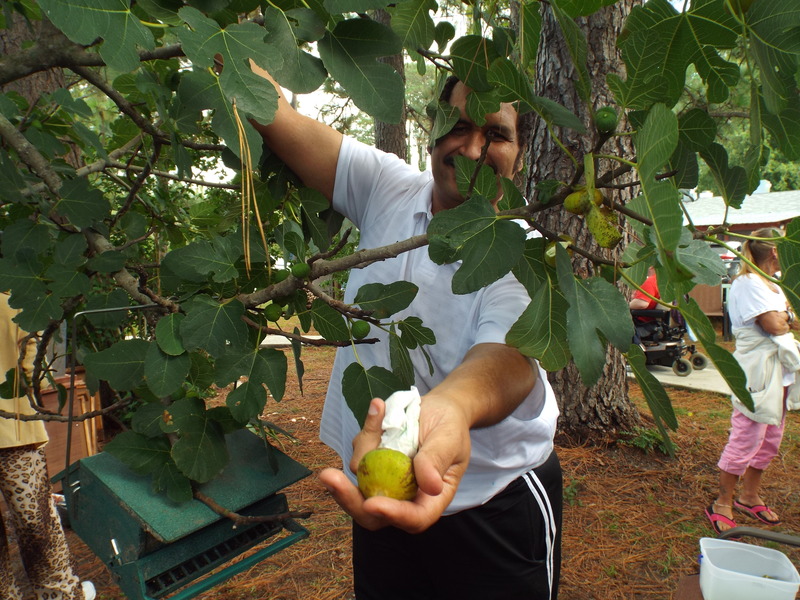 Zel picking some figs from the tree in our yard. Please share Zel, they look so yummy! 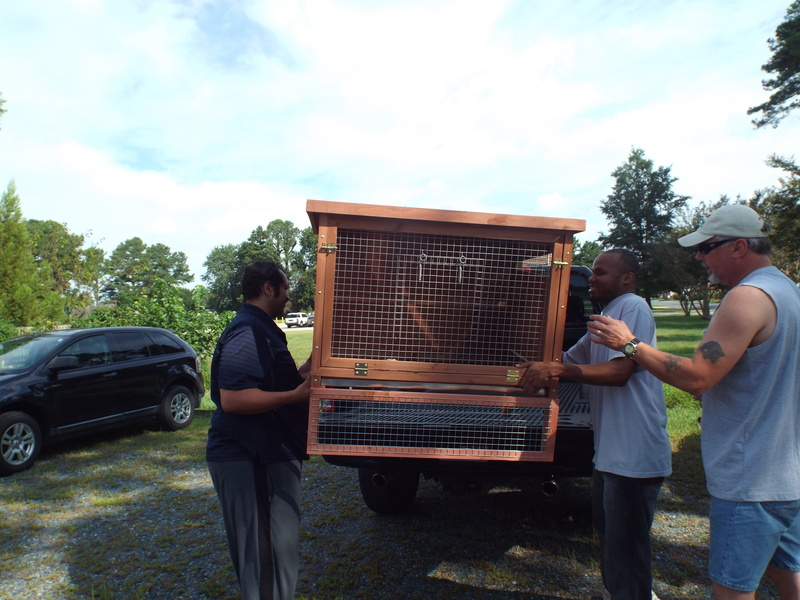 Zel, DJ, and Rachel’s husband John unloading the new chicken coop! Lift on my men, lift on! Thank you John for helping us to pick up the new coop! 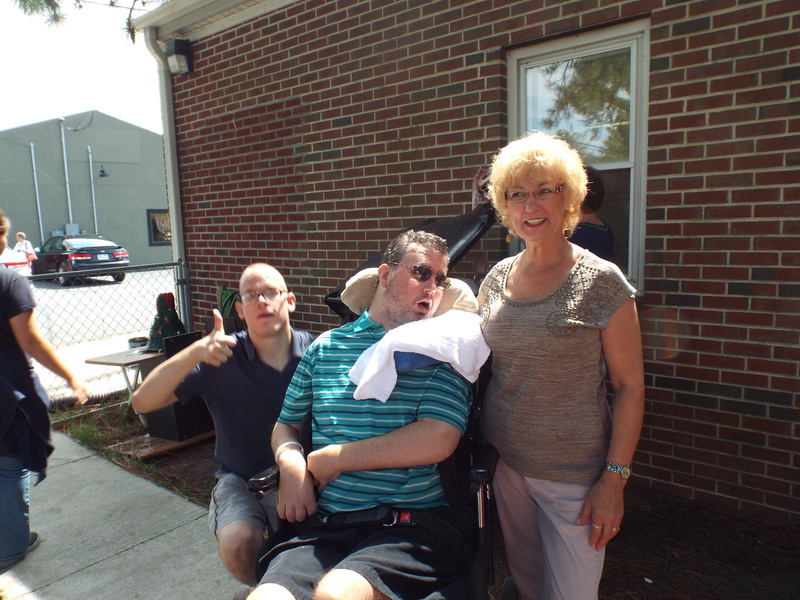 Brandon and Jason posing for a picture with Jason’s mom Liz. Doesn’t Jason look like a superstar with his sunglasses?! Go on Jason with your bad self!